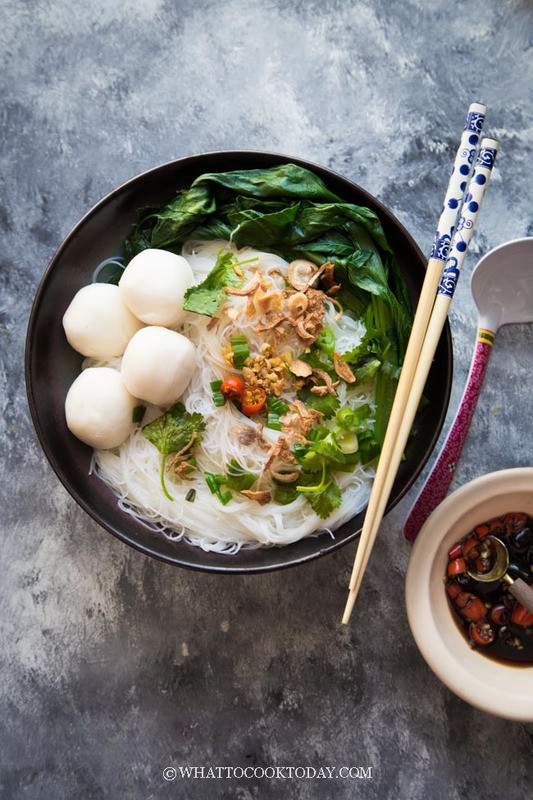 Delicious noodle soup made with rice noodle sticks (bee hoon) served with Asian-style fish balls and super easy to make soup will quickly become your favorite. 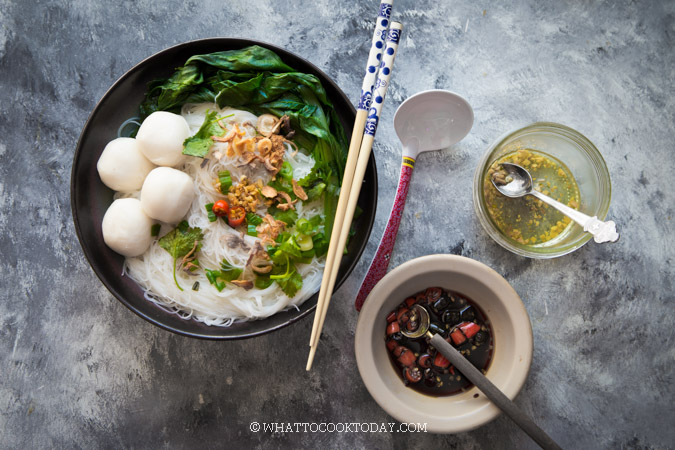 People across Asia can relate to fish balls, no matter which part of Asia it is. 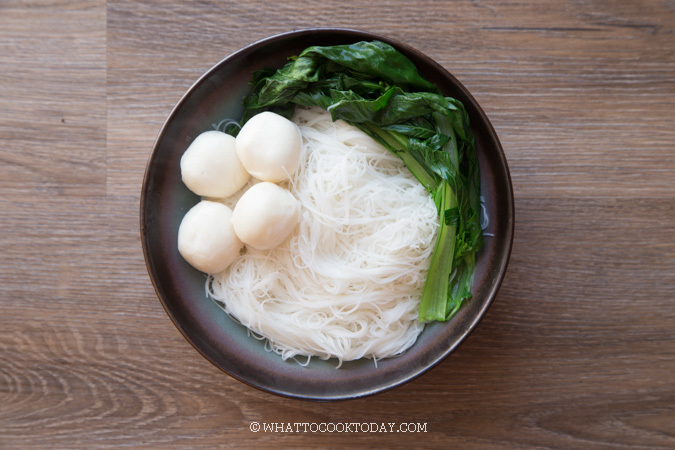 I, for one, grew up with Chinese-style fish ball noodle soup. 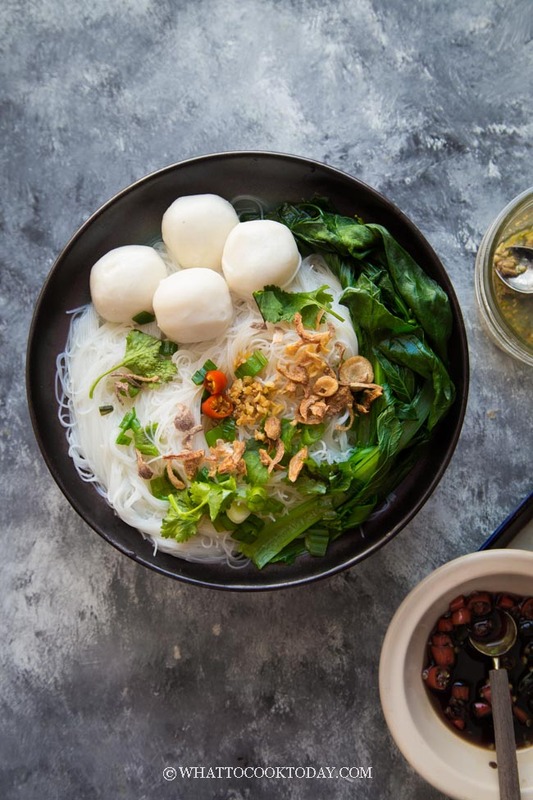 Mom made it often as part of easy breakfast, lunch, or dinner (Yes, we do eat noodle soup for breakfast 🙂 ). Mom usually got ready-made fish balls from her favorite stall at the wet market. 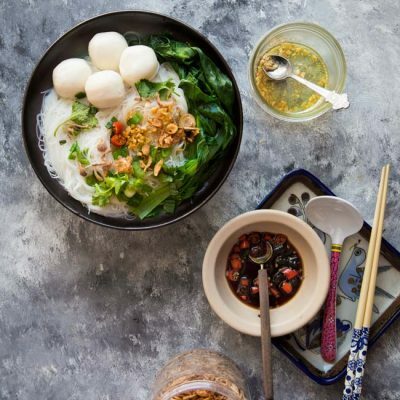 She made homemade fish balls too sometimes, but for convenience reason, most people will get ready-made fish balls. 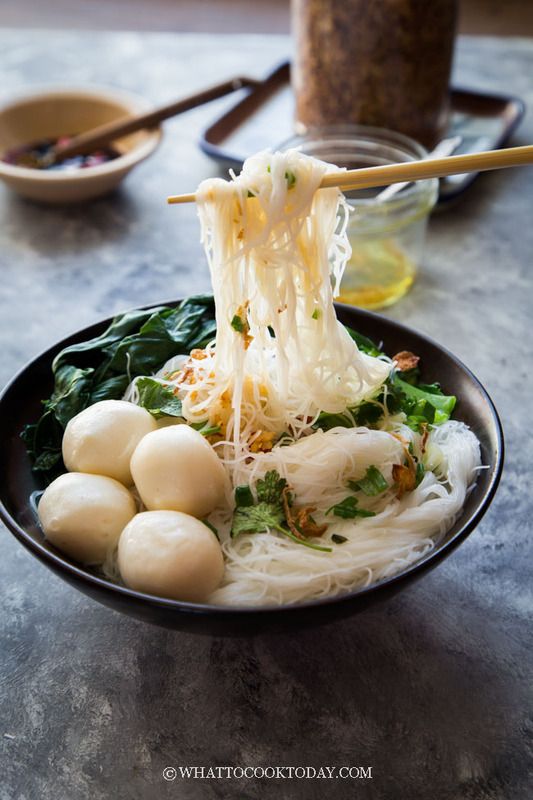 Asian-style fish balls are typically made with the flesh of mackerel fishes and are usually made to be “bouncy” (or in Hokkien we say it “QQ”). 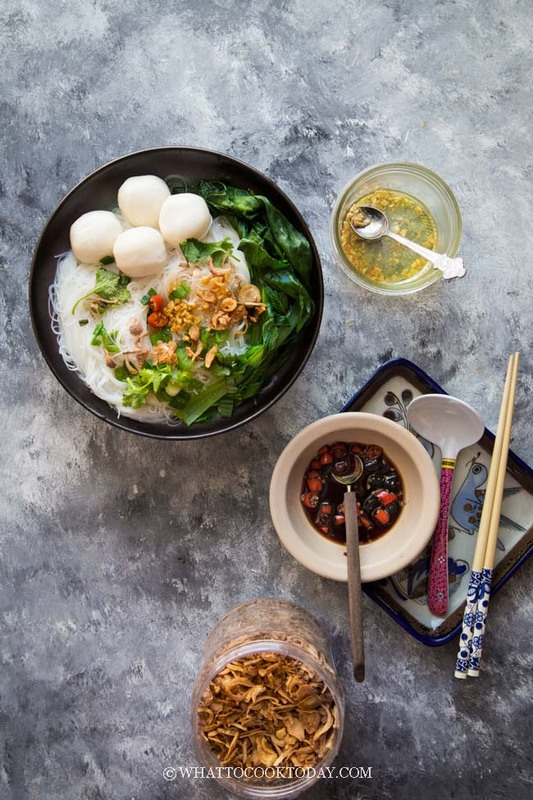 For the sake of easiness and simplicity in this recipe, I used ready-made fish balls. 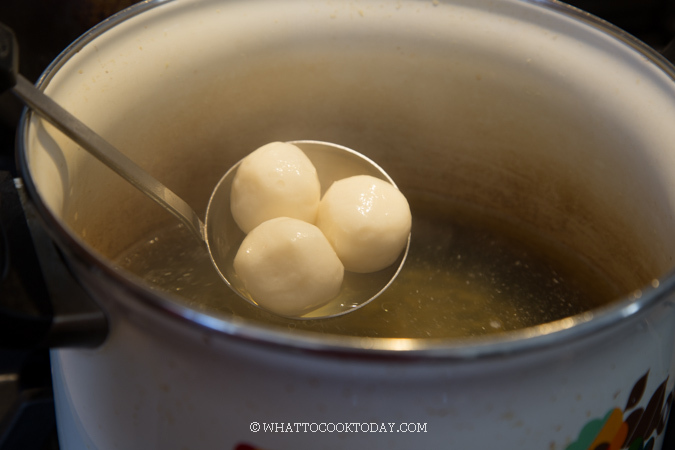 I’ll cover in more details on how to make homemade fish balls in different post. 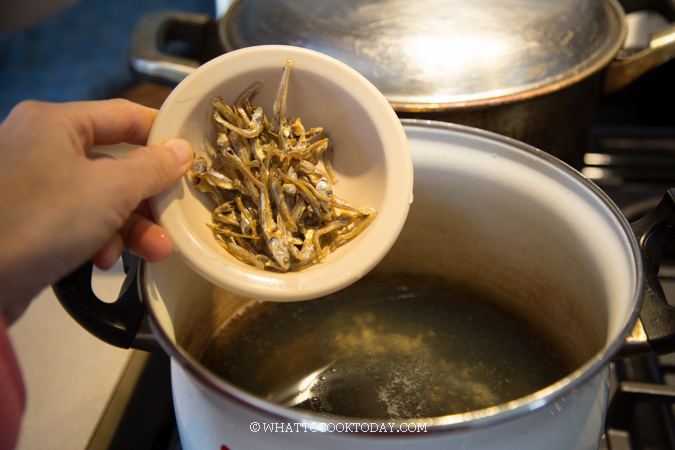 The ikan bilis need to be soaked briefly and rinse in water before using. 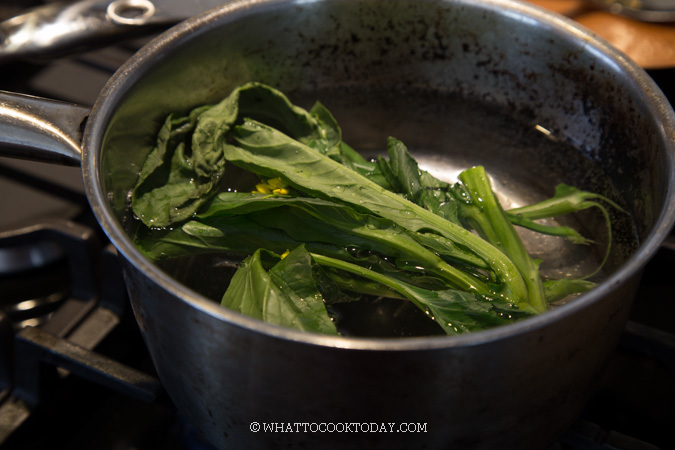 Then you can add them in and let it simmer for about 15 minutes. Season with salt and sugar to your taste. That’s all there’s to this stock base! Easy ain’t it? 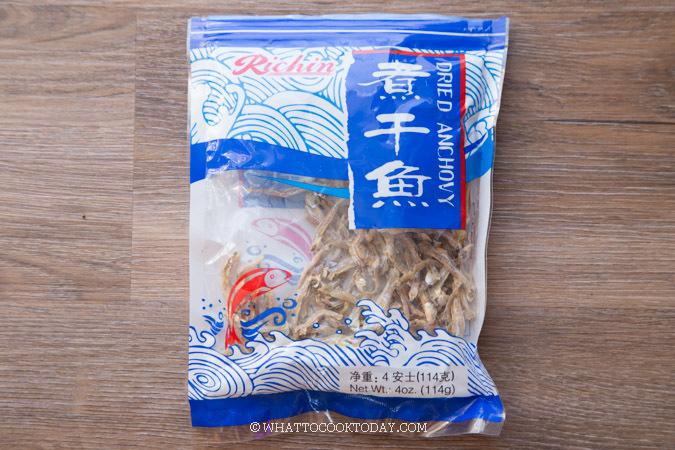 You can definitely use: Kwe Tiau (Fun noodles), angle hair pasta, linguine pasta, spaghetti pasta, somen noodles, bean thread noodles (tang hoon). This is just to mention a few. 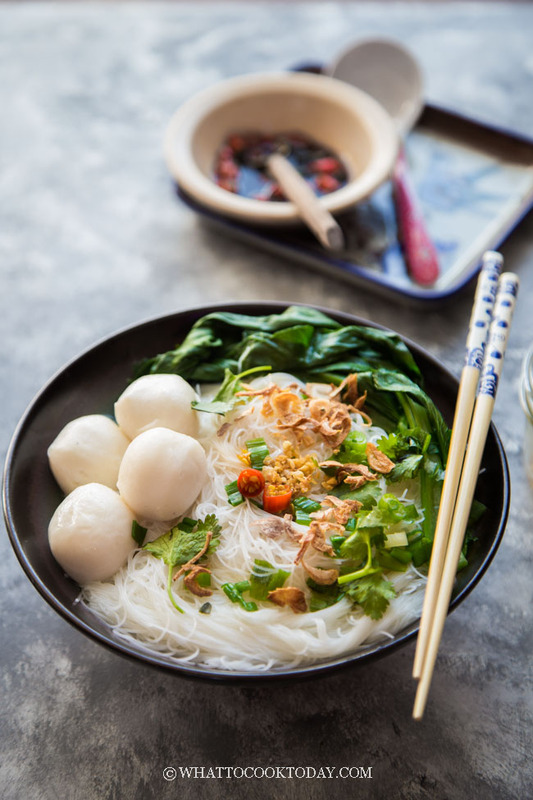 This super easy fish ball bee hoon noodle soup comes in handy on the days when I don’t have much time to cook or don’t feel like cooking up a storm.